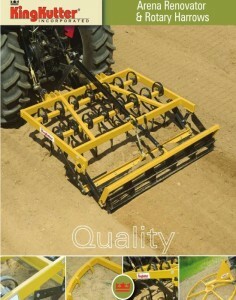 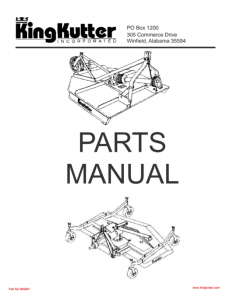 Rotary Harrow, quick hatch compatible, heavy duty bolt on hub with sealed bearings. 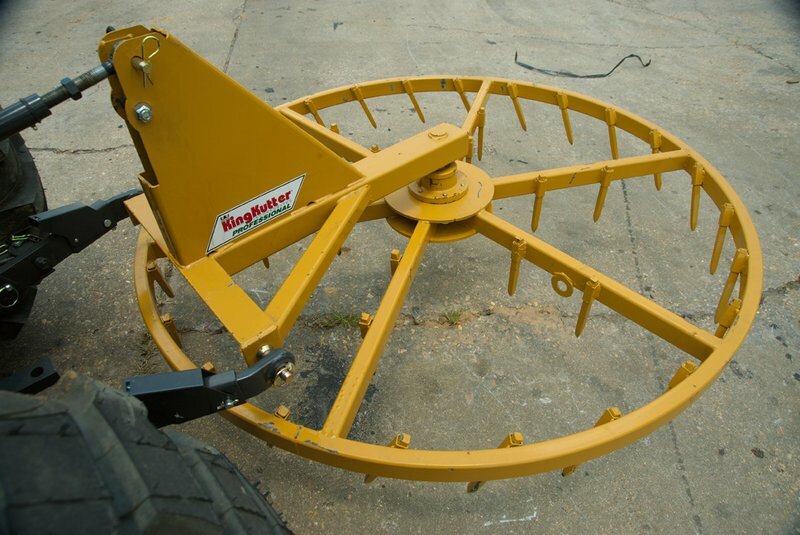 King Kutter’s Rotary Harrows have been designed with sleeve mounted drive-in, spot welded spikes, to increase strength, performance and durability. 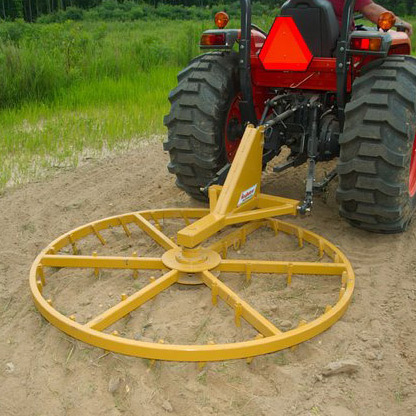 They’re easy to use and no tractor PTO is required. 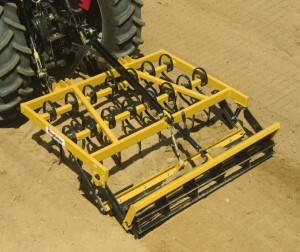 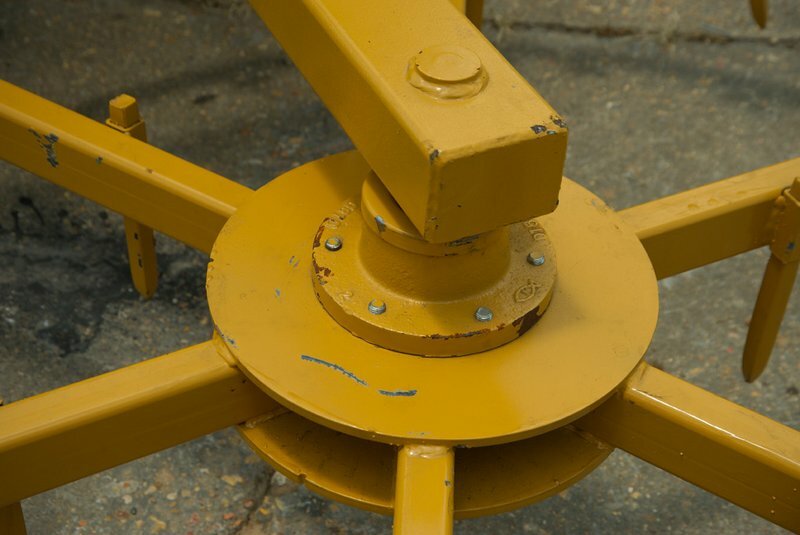 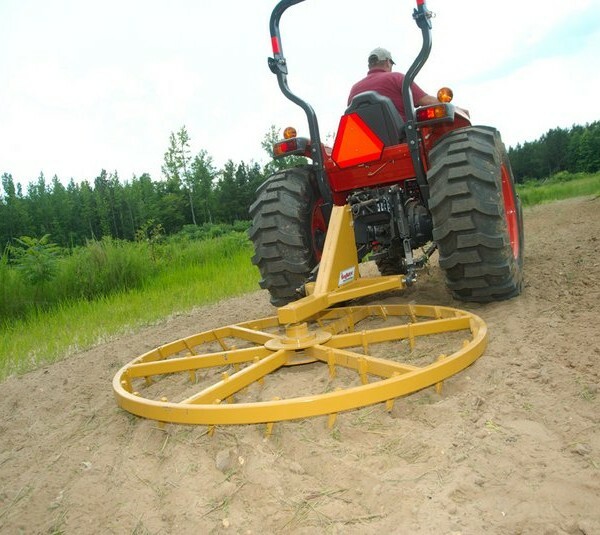 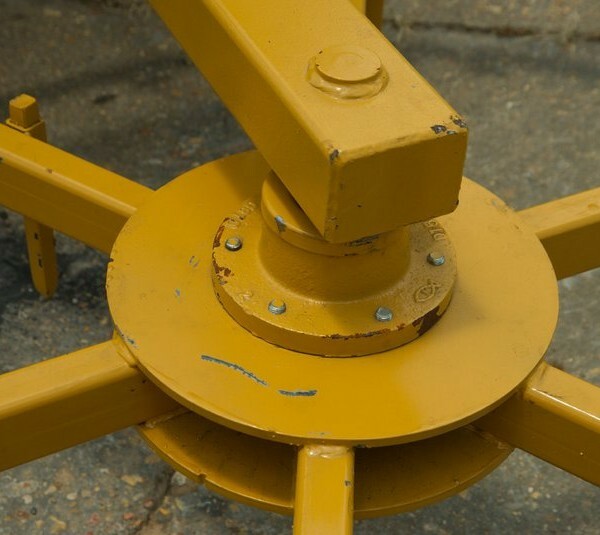 The unique turning action allows the harrow to level soil by redistributing it inward. 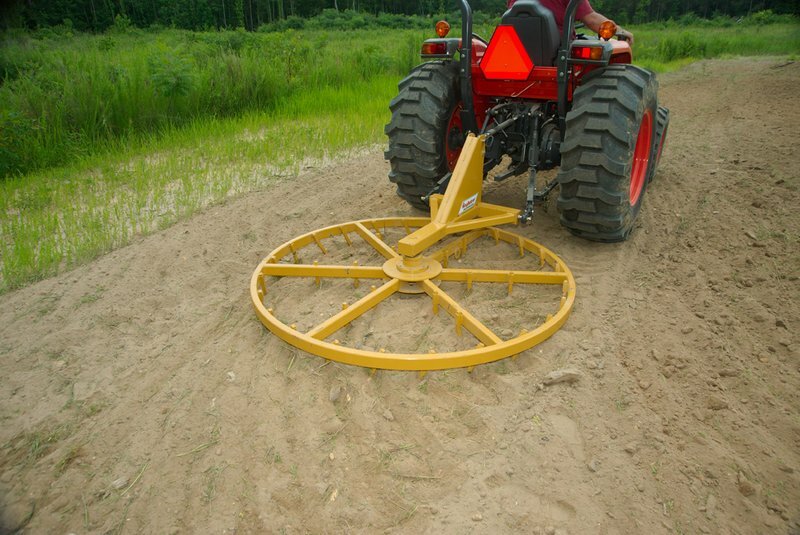 They are ideal for use in orchards and vineyards to control weeds without the use of chemicals, to prepare seedbeds for planting and to groom riding arenas. 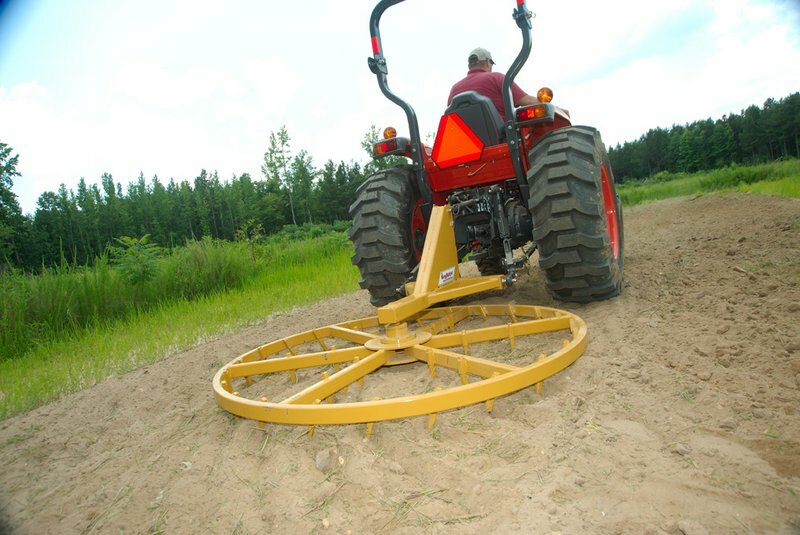 “I used to use traditional arena raking equipment which wouldn’t rake the Fusion Fibre Additive in the sand without bridging. 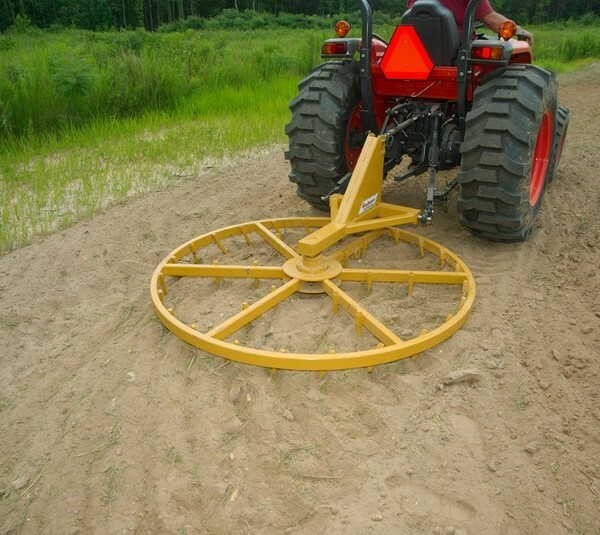 It used to take over four hours to prepare the arena, now, it only takes 15 minutes! 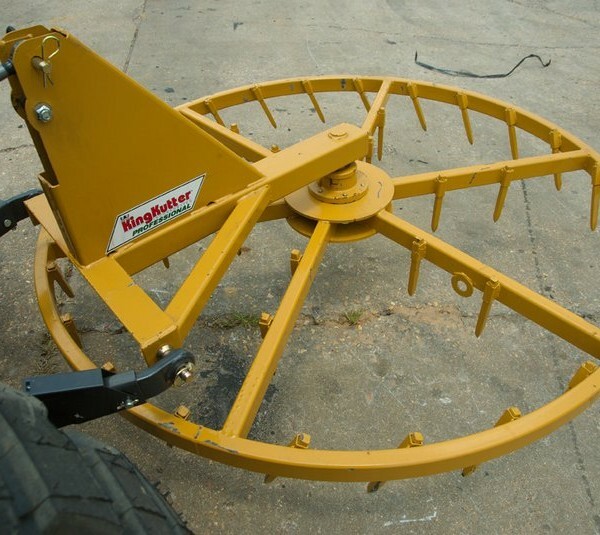 I can’t thank the King Kutter team enough”.